Interpreting sheet music to the guitar could be more difficult than you might think; it is not just about 'decoding' the music sheet, but also about seeing the whole reference system behind, and translating it to the guitar's reference system. Whereas a single note can be played at many fret positions and strings on the guitar, in the case of the piano you've only got one linear set of keys, leaving you no other option to play that particular note than play it where you are supposed to. You can see that how many options there are to play a scale on the guitar. That's why it is crucial to pick the right one and stick to it. The first version of the above 1-octave structures (highlighted in red in the below mirror image) can be extended so it becomes an F Lydian scale. 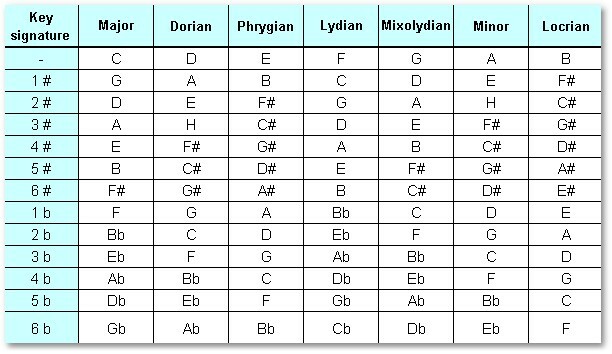 The whole thing could work vice versa; extending the 1-octave F Lydian scale you will get the full C major scale. Although there is a huge load of scales to choose from, beginners might feel a little lost in all these scales. 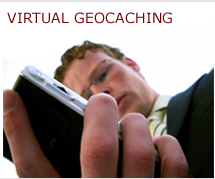 Only when they have learned and look at the system globally will they see the opportunity in this variety of scales, and not find it burdensome anymore. ...and now let's see the sheet music. I have indicated the string name with yellow highlight, and split up the notes to groups, 4 in each group, to make it easier for identification. 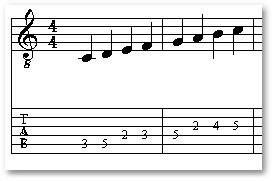 The first starting note is played on the lowest, E6 string of the guitar; the last note is the 12th fret on the highest, E1 string. It is obvious that this kind of music notation can't reflect the scale structures specific to the guitar; that is why we need the mirror images. What about musical pieces with different tonalities (from a piano point of view: what if the musical piece involves playing black keys)? There are altered notes with the notes of the standard C major / A minor tonality. The musical piece has a different tonality. In this case the scales have to be transposed. The tonality of the musical piece is indicated by the key signatures, placed at the beginning of the ledger. Multiple sharps and flats can be used at the same time. When placed at the beginning of a ledger, the key signatures not only define the tonality of the musical piece, but are also applicable to all the notes of that particular ledger, altering the notes either 1 semitone up or 1 semitone down. This means that the tonality is either F major or D minor, and every B note is altered by a semitone down (all the B notes are on the 3th ledger), making it a B flat. These note pairs are what we call enharmonic equivalents. 2 tonalities became prevailing in Western music: these are the major and the minor. 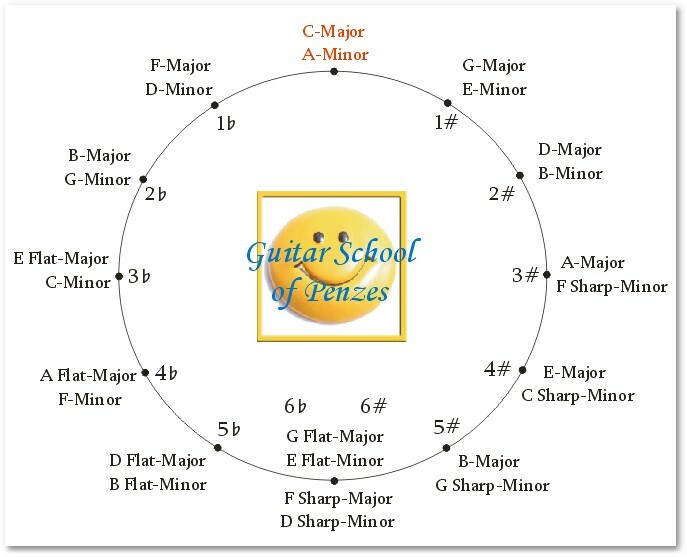 The circle of fifths reflect these 2 basic tonalities and their key signatures; it also shows that there is in total 24 possible tonalities (12 major and 12 minor) in this system.